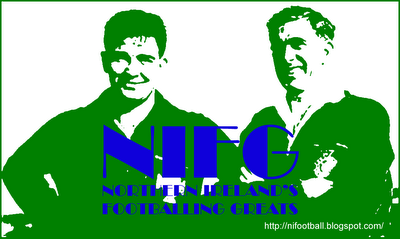 Representative Honours: Northern Ireland: 9 Full Caps (2011-2012); England: 5 Under-21 Caps, 1 Under-20 Cap; Football League: Under-21 Representative (2006). Awards: PFA Football League Championhip Team of the Year 2010. 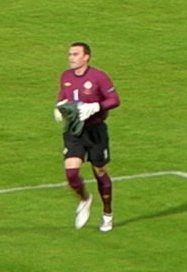 A former England Under-21 goalkeeper, Lee Camp declared his interest in playing for Northern Ireland in September 2010 having become frustrated at his failure to break into the England senior squad. Eligible for Northern Ireland through his Belfast-born grandfather, the required FIFA clearance for changing countries was received the following February and he was called into the Northern Ireland squad for the first time for a Euro 2012 double-header against Serbia and Slovenia the following month. After much discussion as to whether he would go straight into the starting eleven, Nigel Worthington's decision was made easier as Maik Taylor withdrew from the squad due to an injury and Camp started in Belgrade. 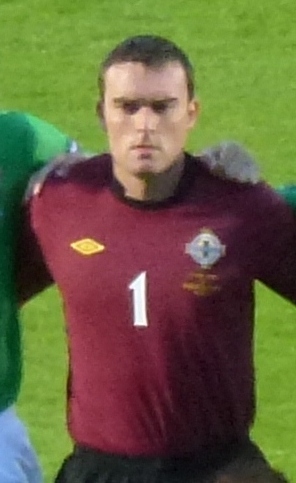 Northern Ireland's regular number one through the last year of Nigel Worthington's management, Camp's position came under pressure when Roy Carroll returned to the squad. In September 2012, after finding himself relegated to the bench, he withdrew from the international squad for "personal reasons" and he has not returned since. His club career likewise suffered and in January 2013 he was released by new Forest manager Alex McLeish, moving on to Norwich City on a short-term deal. Camp provided goalkeeping cover for the Canaries for the remainder of the 2012/13 season, making his Premier League debut as a substitute in a 1-1 draw at Sunderland following the sending-off of Mark Bunn. When Bunn returned from suspension and regular number one John Ruddy returned to fitness Camp found himself as third choice and his contract was not renewed at the end of the campaign. Early in the following season he was given the opportunity to remain in the Premier League, again on a short-term contract, with West Brom who were suffering a goalkeeper shortage. He never made it beyond the bench at the Hawthorns and when the club's more established custodians returned to fitness Camp was allowed to go on loan to Bournemouth. After good form with the Cherries his deal was made permanent in the January 2014 transfer window. He played 13 time as Bournemouth claimed promotion to the Premier League for the first time, but having been displaced by Artur Boruc he was released early in that historic campaign and subsequently joined Rotherham. Summary: 8(1)/0. Won 1, Drew 2, Lost 6.